The Allstate Corporation has been one of the nation’s leading property and casualty insurers since 1931. It currently serves over 16 million households throughout the United States and became a publicly traded company in 1993. 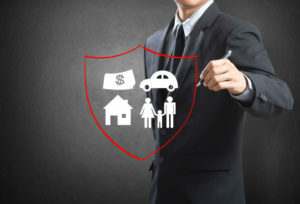 By 2015, Allstate claimed approximately $104.7 billion in assets and the company offers a full menu of insurance products, ranging from their popular automobile policies to homeowners, renters, and pet insurance coverage, just to name a few. We are going to take a comprehensive look at all of the major offerings Allstate provides its customers, all of which are competitive in price and coverage features within the industry. Depending on the state in which you live, you may be required to meet the required minimums for insurance coverage in order to legally drive a motor vehicle. In some regions, those state minimums may not be adequate to meet the needs of you or your automobile. Collision: This part of your policy takes care of any expenses that are incurred as a result of your automobile getting damaged or destroyed as a result of an accident. Comprehensive: This part of your policy takes cares of any expenditure incurred due to your automobile getting damaged or destroyed from weather or theft-related incidents. Liability: This part of the policy is important to have in the event you are involved in an accident in which you are at fault because it covers bodily injury and property damage costs. So if you are at fault in a motor vehicle accident where you cause serious injury or death to another person or you crash your car into someone else’s property, be it their car or house, liability will cover the costs associated with the incident. This does not cover YOUR loss. Medical Payments/Personal Injury: This part of the policy covers those same costs as they relate to you. So if you or anyone riding in your vehicle are injured, your medical costs, funeral expenses, and other assorted expenditures are included as part of your coverage. Uninsured/Underinsured Motorist: This part of the policy covers your medical and motor vehicle repair costs should be involved in an accident where the other driver is at fault but does not have adequate or any automobile insurance. Personal Umbrella: When your liability limits have already been reached on your policy but there are further liability claims or court judgments against you, this will cover those expenses. Every Allstate auto policy comes equipped with certain features that can benefit you in the long run should you maintain a clean driving record. If you do get into an accident, Allstate has you covered in ways that extend beyond how much coverage you have purchased. It almost sounds too good to be true, but with Allstate Accident Forgiveness your rates will not increase simply because you were involved in an automobile accident. Your policy coverage won’t change, either. Once you sign up you are automatically enrolled. The safer and more careful you are behind the wheel, the more you can benefit. Allstate is willing to send you a check every six months that you drive accident-free. If you have a spotless record, then you might want to consider getting a policy with Allstate. Insurance premiums can get expensive based on where you drive, what kind of car you drive, and how often you’re on the road. Other variables can have an impact on how you will pay for coverage each month as well. If you opt for enhanced safety measures and options when selecting your car, then you can save more with an Allstate policy. Allstate is one of the many insurance companies that offers discounts on auto insurance rates based on the safety features of your car, the policy you own, driving habits, and more. Most late model automobiles come with a litany of safety and anti-theft features that can save you a lot of money on your insurance coverage annually. These are some of that you could qualify for with Allstate. Passive Restraints: Airbags and motorized seatbelts installed in your car could get you a 30% break on your monthly premium. Anti-Theft Device: If you have an alarm or kill switch on your car should someone break in, you may be eligible for 10% off your policy. New Car: Allstate offers customers a 30% discount if they are the first owner of the insured vehicle and it’s two years old or newer. Eco-Friendly Car: Driving an environmentally conscious car can net you a 10% discount. Utility Vehicle: Insuring a utility vehicle with a model year of 2002 or prior may get you 15% off. Farm Vehicle: Any vehicle used on a farm or ranch in a working capacity could also get you 10% off. Allstate offers its customers discounts based around the methods by which they choose to pay and manage their policy and its premiums. Most of these entice you with rewards in exchange for buying more than one policy with the company and ensuring that all of your premiums are paid on time. EZ Pay Plan Discount: You can save as much as 5% with automatic withdrawal enrollment. That way the money is taken out of your account every month automatically. FullPay Discount: This one is simple; pay your premium in full and on time each month and you’ll get 10% off. Auto and Life Discount: Allstate will give you a discount when you buy auto and life insurance policies from the company. Multiple Policy Discount: Similar to the previous discount, you may receive up to 10% when you buy auto and home or renters insurance policies. Early-Signing Discount: Sign your policy a week prior to the effective date and you could get 10% off. Good Payer Discount: If you go one full year without any cancellation notices for missing a payment, then you could save up to 5%. Allstate also offers discounts based on the age of the driver or if the insured is going to school. There are a variety of ways to save depending on your situation. Resident Student Discount: Parents with a child going to a school more than 100 miles from the garage location of the insured vehicle could qualify for a 35% break on their policy. Good Student Discount: Individuals 25 years of age or under can get 20% off their policy if they are full-time students, not married, and maintain a certain grade point average. We already know Allstate is happy to give good drivers a bonus check for practicing proper habits on the road. However, you can also save money on your policy with discounts that reflect those safe habits. Premier: Drive for three years without a ticket or an accident and Allstate will drop your premiums by 22%. Premier Plus: Go five years without a ticked or accident and that 22% goes up to 35%. Safe Drivers: Demonstrating a consistent record of driver safety might get you 45% off your coverage. TeenSMART: Your rates can drop by 10% if your teenaged insured driver successfully passes the teenSMART driver’s education course. Defensive Driver: Insured drivers 55 years of age or older who have no violations or at-fault claims on their record may claim a 10% discount after completing a minimum of six hours of defensive driving classes. Allstate offers a full menu of policy features and levels of coverage for every size home and the amount of possessions inside of it. The majority of policies come with common features that every homeowner is going to want to protect their home, including dwelling coverage, personal property coverage, guest medical coverage, and liability coverage. There are also a number of other protections that you might want to add to your policy for complete peace of mind. Water Backup Coverage: Coverage in the event a drain backs up or the sump pump fails and you experience significant water damage in or on your property. Scheduled Personal Property Coverage: If any of your valuable appraised items are damaged, destroyed, or stolen, you’re covered. Business Property Coverage: Coverage in case you store business-related inventory in the home and those items suffer damage, become destroyed, or are stolen. Sports Equipment Coverage: Similar coverage for any sports gear like skis, golf clubs, bikes, etc. Musical Instruments Coverage: Similar coverage for expensive instruments like guitars, keyboards, drums, turntables, etc. Yard and Garden Coverage: Similar coverage for items like mowers, trimmers and other equipment. This feature also extends to trees, shrubs, and other landscaping. Green Improvement Reimbursement: Should you experience loss of any personal items, this form of coverage will give you the cost for replacing them with energy-efficient versions instead. Flood Insurance Coverage: Floods are the leading cause of damage to a property when a natural disaster hits. This is why most companies require you to purchase an additional rider to your policy to cover yourself in such an event. 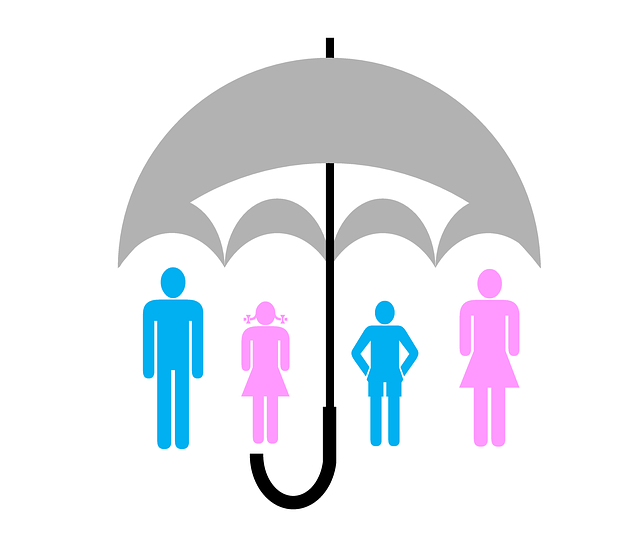 Personal Umbrella Coverage: This coverage is similar to the umbrella protection available for automobile insurance in that you are fully protected should you reach liability limits on your standard coverage. This protects you in the event you have to pay significant damages as a result of a judgment against you. If you rent your home, then your possessions may not be fully covered by your landlord’s insurance policy. That coverage is designed to protect their assets, not yours. That means if you lose your personal belongings due to fire or theft, you could be out of luck. In order to protect yourself and get reimbursed for the loss of your items, renters insurance is a safe and smart bet. Allstate offers many types of this form of coverage. Personal Property Coverage: This is a blanket policy that protects your belongings should something happen to them. This extends to common items like furniture, clothing, your TV and stereo, computer equipment, and various other items throughout the home. Scheduled Personal Property Coverage: Protects all of your valuable appraised items, such as artwork, jewelry, collectibles, antiques, or anything else of particularly high value. Liability Coverage: Your costs relating to medical or legal bills and other out of pocket expenditures are covered in case a guest in your home is injured and decides to sue you. Guest Medical Coverage: This covers additional costs associated with a guest being injured in your home for expenses like X-rays, ambulance trips, and other medical procedures. Reimbursed Living Expenses Coverage: Should you be unable to live in your home due to loss or damage, your policy will cover any resulting increased living costs such as alternative shelter and food expenses. Just like with their automobile insurance products, Allstate offers a variety of discounts to customers who purchase renters insurance. Multi-Policy: If you already have an automobile policy with Allstate and you add renters insurance, then you can get a break on the premiums. Safe Home: Having an active security or fire alarm in your apartment or condo can get you 15% off. Easy Pay Plan: Set up automatic payment of your premiums and you can take 5% off your rates. 55 and Retired: You may be eligible to get 25% off your premiums if you are over the age of 55 and no longer seeking full-time employment. Claim-Free: For every year that you don’t file a claim during your time with the company, Allstate will give you up to 20% off your rates along with other bonuses. In addition to all of these products, Allstate also offers a menu of life insurance options to fit every consumer’s needs, goals, and budget. They have varied policy options that are competitive throughout the industry. Term Life Insurance: The most common and affordable option that Allstate offers provides insured parties with reliable protection at low rates. Payouts will never change for the extent of the term. This type of coverage can be as simple or as complex as the consumer requires through the company’s TrueFit coverage. TrueFit coverage allows for personalized and customized support to fit your situation so that you are fully covered. Should your situation change for any reason, TrueFit coverage is flexible and you may change the components of your policy at any time. Permanent Life Insurance: This type of policy offers protection over the course of your lifetime and builds cash value as well. Universal Life Insurance: This option also provides lifetime protections as well as builds cash value that is tax-deferred and comes with a fixed interest rate. If you decide to adjust your plan or change your payments, this policy also has the flexibility to meet those needs. Whole Life Insurance: This policy protects you and your family while also providing a smart opportunity for investing your money and increasing wealth. Payments and coverage limits are locked in as well as they are guaranteed for the life of the coverage. If you own a boat, then you’re going to need to have suitable coverage to keep it protected. Even though insurance is not required by law in the same way you must own automotive insurance to legally operate a motor vehicle, keeping your boat insured is just the smart thing to do. Life on the water is uncertain and, should disaster strike, you want to be fully covered. Watercraft Medical Payments Coverage: Medical expenses are covered in the event you or anyone else is injured in an accident while riding in your boat. Watercraft Liability Coverage: This covers medical and other expenses for anyone injured in an accident. Expenses related to repairing or replacing another person’s boat or their property that is damaged in the incident are also included. Property Coverage: Any damage inflicted on your boat that is directly related to an accident involving another boat or any other items is covered. Your boat is also covered should it be the victim of vandalism, fire, or theft. Repair Cost Coverage: This coverage protects any repair work that is performed on the boat, including the motor or any other equipment without deductions for depreciation in most cases. Uninsured Watercraft Coverage: If you get hit by another boater who does not have their own insurance coverage, this protects you by covering any costs related to injuries sustained by you or anyone else on your boat at the time of the incident. Agreed Value Coverage: Should your boat be destroyed, you receive full reimbursement for the boat’s value at the time your policy went into effect, not for the current market value at the time of the loss. Personal Effects Coverage: If you bring aboard any personal belongings on your boat and they are damaged or destroyed for whatever reason, the costs of repair or replacement are covered. Additional Equipment Coverage: This feature extends your protection to additional accessories on your boat that may not be included with other coverage, like anchors, GPS devices, life jackets, and more. Boat Trailer Coverage: This portion of coverage includes your trailer in the event of an incident. Emergency Services Coverage: Much like roadside assistance for your automobile, this covers all towing costs to bring your boat back to shore should it be disabled. You can also have fuel, oil, or a new battery delivered to you. Your furry loved ones can also be protected with an Allstate policy. Pet insurance helps to defray the costs that come when your pet develops health issues or sustains an injury and needs surgery, recuperation, and rehabilitation. It may also cover routine visits and check-ups as well. Pet insurance doesn’t always seem like it’s a necessity. However, if your pet needs to undergo treatments or scans you will soon find that those costs can become very expensive. Unfortunately, those procedures are often the difference between saving your animal’s life and having your pet put to sleep. That’s why pet insurance can be a crucial ally in keeping your pet healthy and living a full life. Coverage for pet insurance is somewhat more simple and straightforward than other insurance products that Allstate offers. Allstate provides a list of ailments and services that are covered under a pet policy. These include: accidents and treatments for illness and disease; cancer and chemotherapy services; surgery, hospitalization, and nursing care; lab work and diagnostic tests, including X-rays and MRIs; medications; genetic conditions that are breed-specific and are not suffered by the animal so as to be considered preexisting conditions; alternative therapies like acupuncture, hydrotherapy and holistic and homeopathic medicine; chronic and recurring conditions like allergies, diabetes and hyperthyroidism. While most items are covered there are some things that are not eligible under a pet policy through Allstate. 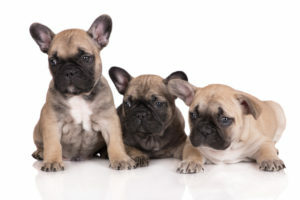 These include: cosmetic and elective surgeries such as tail or ear cropping and declawing, unless it is deemed medically necessary; veterinary fees for pregnancy, breeding or whelping; orthodontic or endodontic procedures, including root canals or crowns; treatments for correcting behavioral issues; vitamins, supplements, pet foods and hygiene items; and pre-existing genetic or breed-specific conditions. In order for your pet to qualify for an insurance policy with Allstate, the animal must be 14 years of age or younger. If the pet does not fall under that requirement or has some type of preexisting condition, then you may instead apply for an “accident-only” plan. This option is not comprehensive as the standard coverage but still helps to defray the costs associated with a list of items that can still benefit you and your pet. Accident-only coverage includes: doctor, nurse, and specialist examination fees; laboratory tests; emergency care and hospitalizations; MRIs, CT scans, X-rays and ultrasounds; acupuncture services, chiropractor fees and holistic wellness treatments; physical therapy, including hydrotherapy; and laparoscopies and surgeries, including laser surgery. As you can see, this type of plan still provides a variety of vital protections to keep your pet safe and healthy. This is just an introduction to all of the products and services that are available from Allstate. There are additional types of insurance coverage for vehicles like snowmobiles, ATV’s, and motorcycles. The company also offers financial planning services as well as supplemental and health coverage options. You can find more information about these and other products by contacting Allstate directly or visiting their website at www.allstate.com.